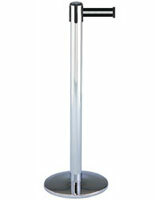 Light-Colored Stand is Neutral to be Placed Anywhere. 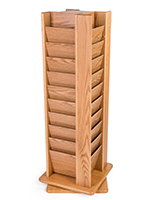 Rotates to Easily Showoff Everything on Display. 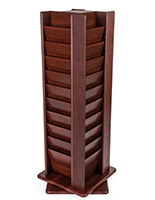 Angled Slots Keep Materials From Bowing Over. 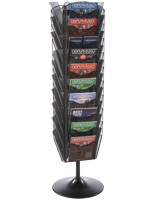 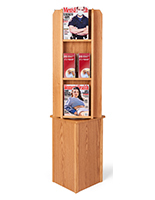 This revolving magazine rack is equipped with 80 total pockets! 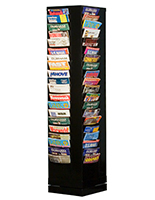 Pocket dimensions are 7/8"deep x 8-13/16"wide - perfect for holding the periodicals and pamphlets of your choice. 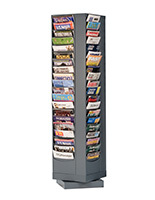 The overall height of the all steel unit is 61", so it's sure to make a statement in your waiting room or lobby! 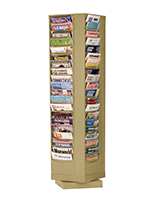 Our rotating magazine rack assembles in minutes without tools.